This one is for those summer days when you want to serve your children something healthy and balanced but don't have time (or desire) to spend a long time in the kitchen! 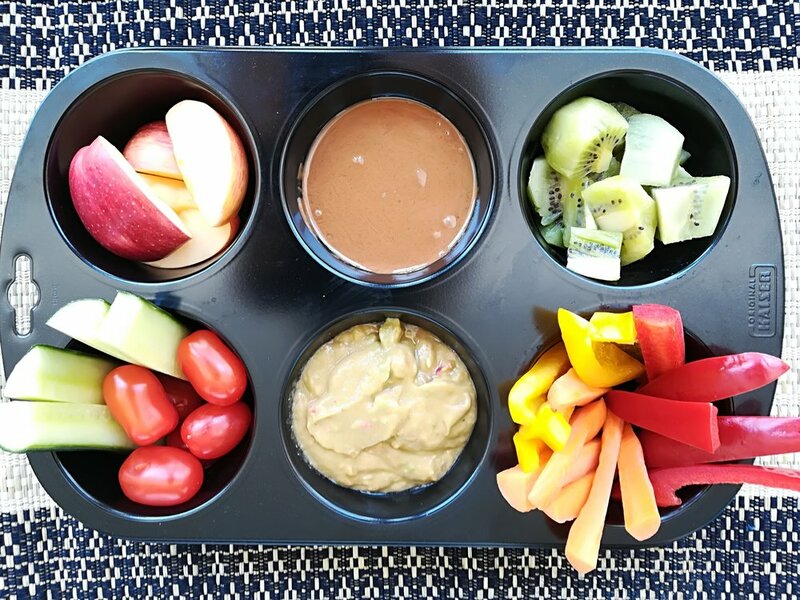 A combination of veggies and fruit with two healthy dips provides a super balanced snack, with plenty of unrefined carbohydrates, a good amount of healthy fats, some protein and a range of vitamins and minerals. The recipe below includes suggestions for fruits and vegetables you might want to include, but you can also experiment with others that your little ones like, and alternate the dips to provide variety. 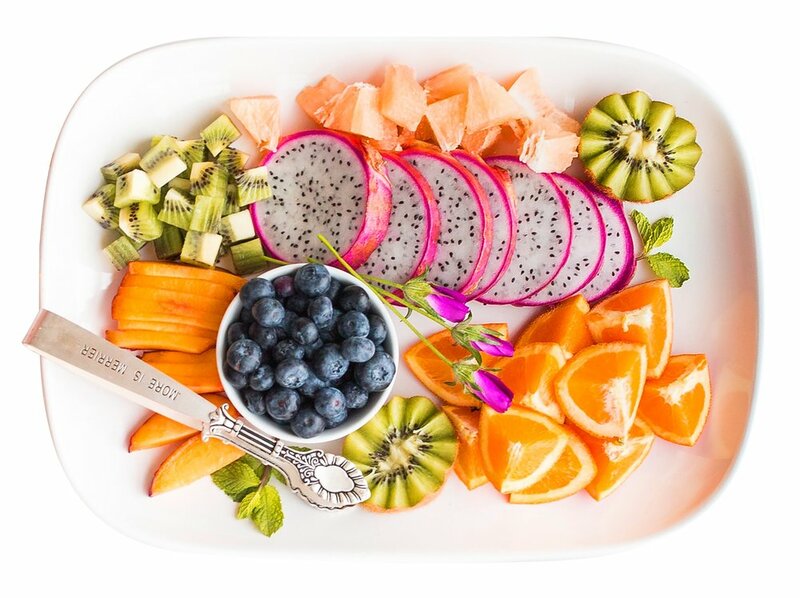 2-3 types of fruit, such as apples, pears, kiwi, bananas, peaches, berries, melon, etc. 3-5 types of veggies of different colours, such as cherry tomatoes, cucumber, peppers, carrots and celery sticks. You can also replace guacamole and almond butter with other dips, such as hummus or cottage cheese with chives. ENJOYED THE RECIPE BUT WOULD ALSO LIKE SOME FREE NUTRITION TIPS?